Tec-NQ is proud to be an accredited boarding school that allows regional students from across Queensland to access its unique trade-based senior secondary school for students in Years 10 - 12. The boarding facility, Tec-NQ Beachside, is operated by a team of dedicated staff that strive to maintain a close knit, inclusive social environment. The boarding facility is supported by Tec-NQ’s trained boarding staff. Our fantastic boarding school staff look after the welfare of all of our boarders including their nutrition, extracurricular activities and routine medical checks. Tec-NQ Beachside is a welcoming and nurturing boarding facility housing up to 33 boarders. The safe and secure facility is located in North Ward close to shops and The Strand in sunny, tropical Townsville. The premises are safe and secure. On site, our boarding students are kept entertained with a pool table, many televisions and board games. Social events like quiz nights, movies and games are always heaps of fun. Tutorials are provided as necessary through the Tec-NQ training facility and homework support is provided by supervisors at Tec-NQ House. It is our aim to support your student in completing their goal to achieve their Queensland Certificate of Education (QCE) and their trade program. 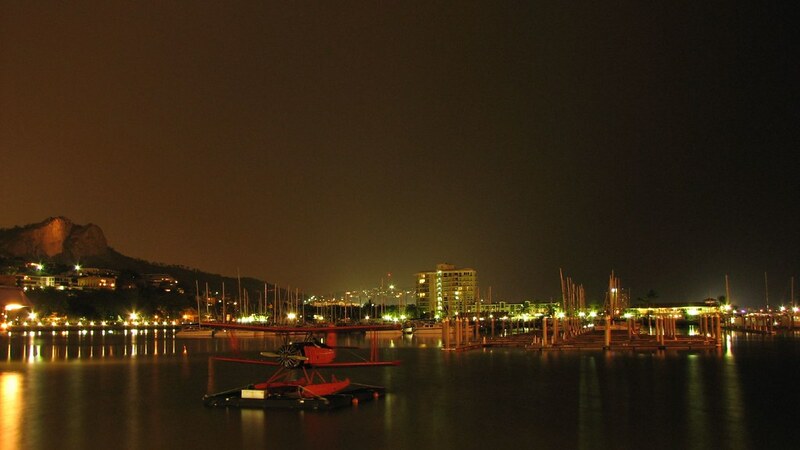 Townsville is a unique and stunning city boasting an average of 320 days of sunshine each year. Located in North Queensland, Townsville is the largest city in northern Australia with a population of 196,000. Hundreds of thousands of visitors visit the region each year to experience the closely situated Great Barrier Reef, World Heritage Rainforests and the Australian outback. Townsville provide locals and visitors with modern sporting, cultural, entertainment and shopping facilities combined with a relaxed, laid-back lifestyle. Townsville’s Strand is one of the best inner city beachfronts in Australia. This seaside promenade is lined with restaurants and cafes and is the perfect place to cycle, rollerblade, walk, fish or picnic. Walk, run or drive up Castle Hill for a breathtaking panoramic view of the city and Magnetic Island or take a stroll through the newly landscaped Jezzine Barracks. This is a significant site for both the Australian Military and local Indigenous people. Townsville offers all you could want in festivals, art and sporting facilities. The combination of a warm climate, natural attractions and tropical lifestyle make Townsville a desirable place to study, live and play. NOTE: Tec-NQ House located at 44 Bowen Road in Rosslea was significantly impacted by the February 2019 Townsville Floods with 200mm of floodwater settling into student accommodation and management areas. Tec-NQ Beachside has been secured on a long term lease as alternative accommodation for Tec-NQ senior school boarding students as Tec-NQ House is restored. The Non-State School Accreditation Board has been notified of the relocation of our boarding services and has approved this action due to the extenuating circumstances involved. The staff at Tec-NQ Beachside are employed directly by Tec-NQ and operations at Beachside replicate the operations of Tec-NQ House with boarding staff on duty at all times.